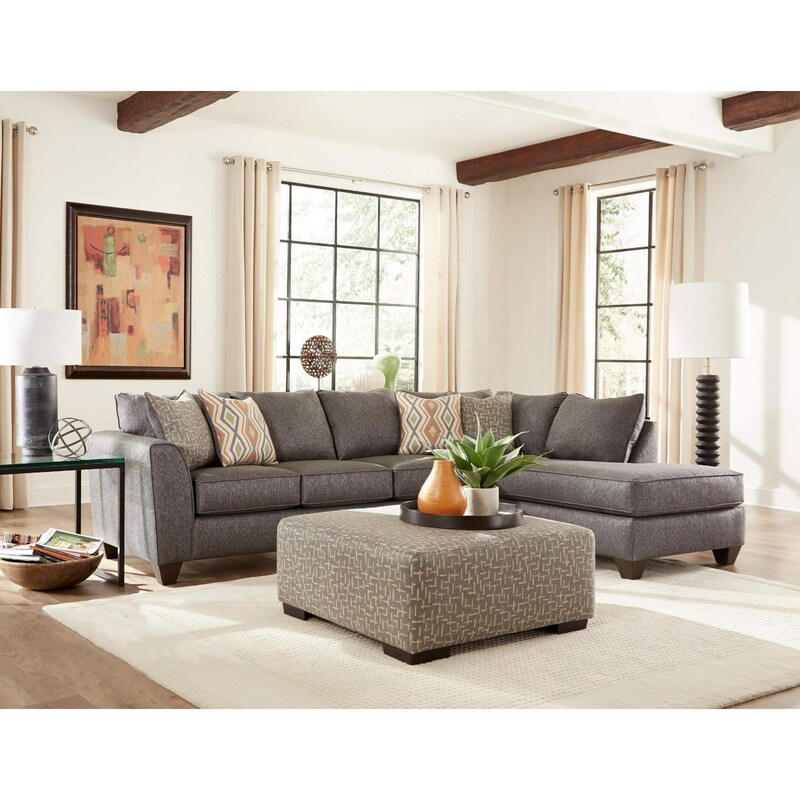 This spacious sectional features a long chaise to kick up your feet and relax. Tapered feet and flared arms keep the look relaxed, yet sophisticated. Two sets of coordinating throw pillows provide the perfect touch of color and style against the gray body fabric. The Crypton Contemporary Graphite Sectional with Chaise by Albany at Great American Home Store in the Memphis, TN, Southaven, MS area. Product availability may vary. Contact us for the most current availability on this product. Pillow Includes two sets of coordinating throw pillows. Browse other items in the Crypton collection from Great American Home Store in the Memphis, TN, Southaven, MS area.